Kangana Ranaut's Queen was a big hit at the box office, which was also critically acclaimed for its writing and the lively performances from the actors. The film is being remade in all the four South Indian languages simultaneously. 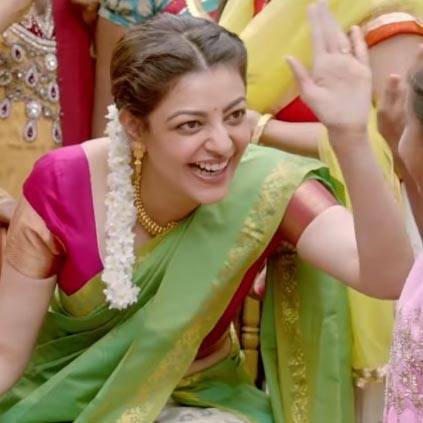 The Tamil version has Kajal Aggarwal playing the lead role, while the Telugu and Malayalam versions have Tamannaah and Manjima Mohan respectively. Parul Yadav reprises Kangana's role in the Kannada remake, who also happens to be the co-producer of these remakes. The Tamil remake is titled 'Paris Paris', which is directed by Ramesh Aravind. The teaser of Paris Paris saw a good reception from the audience and now it is time for the first single from the film. Titled as 'Annachi Kondadu', the song is composed by Amit Trivedi, with vocals by Jassie Gift and Ananya Bhat. This colourful wedding song features Kajal Aggarwal in the video. The lyrics is penned by Thamizhachi Thangapandian. People looking for online information on Kajal Aggarwal, Paris Paris will find this news story useful.